Having received the approval of Archbishop Lucey, in May and July of 1948, Msgr James Lockwood purchased the Church property. Plans were made to build the Quonset hut. In January of 1949, the building was completed. It provided facilities for Sunday Masses and Holy Days of Obligation. In January of 1953, Archbishop Lucey designated St James the Apostle as Patron Saint to the Mission of St Henry. On March 1, 1954, Father Joseph Nowak arrived at St James. July 20th is the official birthday of St James and it was on this day that Fr Joseph Nowak was officially installed as the Pastor of the Church. In August of the same year (1954), five boys agreed to serve on the Altar as Altar Servers. Ministries like the Holy Name Society, the Altar Society, the CCD (Religious Education), St Vincent De Paul and the Guadalupanas were formed. The Church was also blessed with vocations as a young man entered the Seminary to study for the Priesthood. This was followed by three other men and a woman who entered the Convent. In 1955, a house was purchased on 907, West Theo Ave to serve as the Church Rectory and the following years, 1956 to 1960 would see growth in new Ministries like the Youth Club, High School Religious Education, Legion of Mary, the Cursillista Movement etc. In April of 1956 St James got a Parochial Vicar, Rev Charles Grahmann. Rev Charles later became the Bishop of Dallas And he is now retired. On September 1st 1957, St James School was officially opened with an enrollment of 190 Students in grades 1 thru 4. The School has been a success story up to this moment as many Students have graduated from our School and have excelled in all the areas of life in the United States. Since the number of the people increased, there was need to build a new Church to accommodate everybody. The Community came together, groundbreaking was held in December 1958. 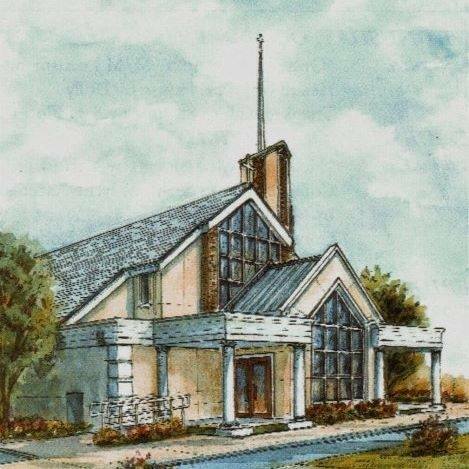 Work on the Church started on January 12, 1959 and was completed on July 19, 1959. Some people may ask why the Construction work took few months. It was because of the commitment and dedication of the Parishioners. The Parishioners continue to be dedicated up to this day. On June 24, 1966, the Church was blessed with a gift of the Priesthood as one of their Sons who went into the Seminary; Manuel Martinez was ordained a Priest in the Order of Friars Minor Capuchins (OFM) in Illinois. In 1967, the Shrine of Our Lady of Guadalupe was built. Fr Joseph Nowak was transferred to St Ann Church, San Antonio. Rev Edward Billy succeeded him as Pastor of St James. Fr Joseph Nowak passed away on January 18, 1969. In the following years, From 1970 to 1980, the Church recorded some achievements; A program for Senior Citizens was formed, a new Rectory was built and the Church was remodeled, a new Hall (the Bosco Hall was built), the COPS (Citizens Organized for Public Service) Ministry to speak upfor the Community was formed, new Deacons were ordained, the Salesian Sisters came in 1978 to lead our School. They have been a success story up to this day. That decade (1970 to 1980) also had some Priests who served St James Church. They were; Fr Hennessy, Fr Joseph Reyna, and Fr Enda McKenna. IT IS THE MISSION AND GOAL TO ASSIST THE COMMUNITY WITH MULTIPLE SUPPORT MINISTRIES. WE OFFER SPIRITUAL SUPPORT AND FELLOWSHIP TO YOUTHS, YOUNG ADULTS, SENIORS AND ALL WALKS OF LIFE. OUR MAIN GOAL IS TO FULFILL THEIR SPIRITUAL NEEDS AND TO LIVE LIFE THE FULLEST.